Cooking for two lazy people. Cut the carrots in small cubes. 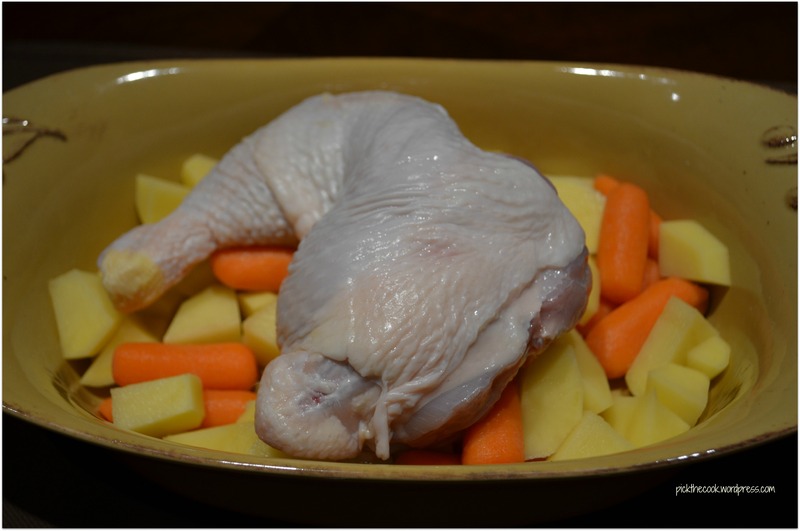 Place the potatoes and carrots in a oven safe pan and put the chicken leg over them. 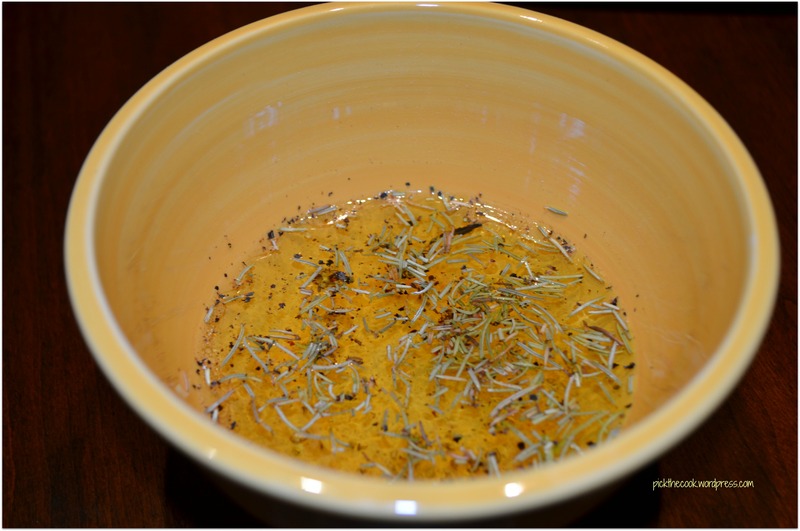 Mix the wine with the olive oil and the spices. 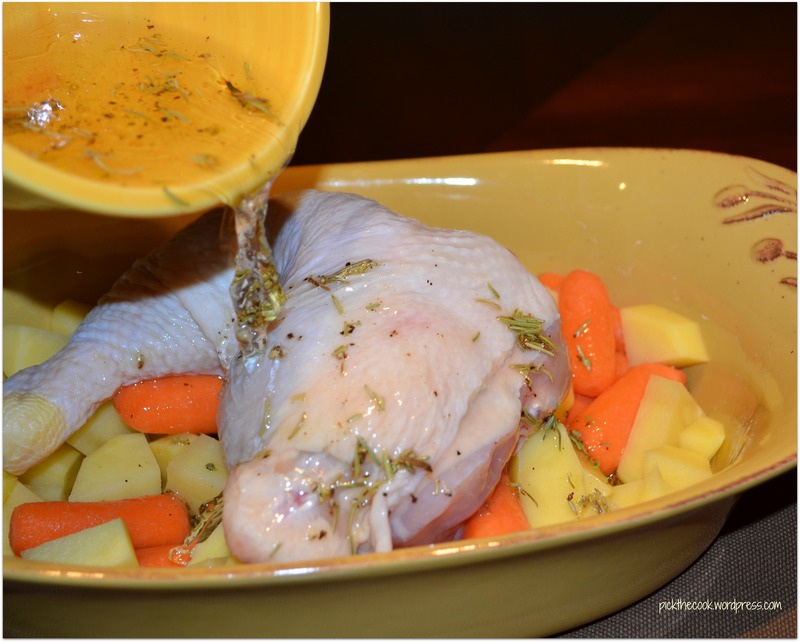 Pour the wine mixture over the chicken and veggies. Cover the pan with aluminium foil and roast at 385 F for 35 minutes. 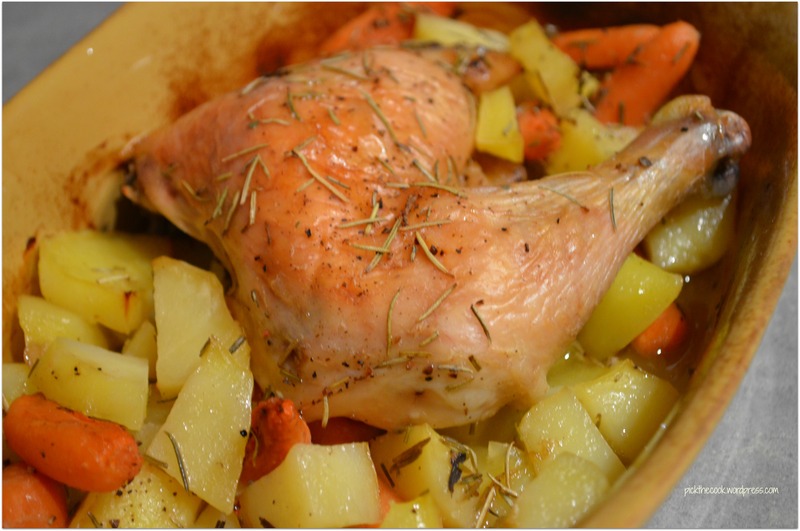 Remove the aluminium foil and let roast for another 20 minutes.